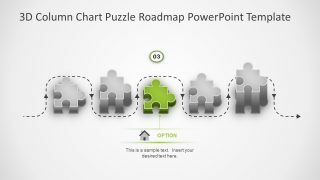 The 3D Column Chart Puzzle Roadmap PowerPoint Template is a timeline presentation. The awesome slides for demonstration of project development, management as well as progress. 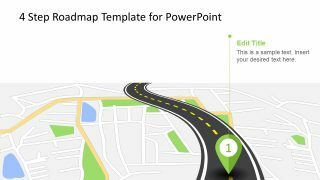 This creative PowerPoint template is usable for any topic related to IT, marketing, internal or external business meeting and much more. 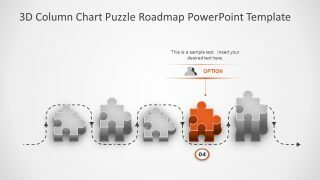 It shows timeline in the style of puzzle roadmap with milestones in PowerPoint slide design. 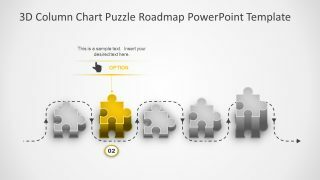 This template of five horizontal 3D Puzzle chart can make a compelling project management presentation. With attention to display events in an effective roadmap design. Surely it will get the audience attention it deserves with eye catching infographic vector shapes. 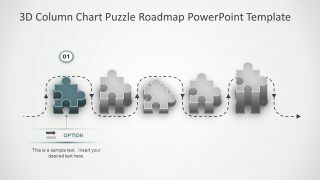 The design and layout of 3D Column Chart Puzzle Roadmap PowerPoint Template is created by professional designers. The arrow and dotted line represent timeline illustration of curve road. likewise, the 3D puzzle pieces column chart denotes milestones which are numbers attractively. 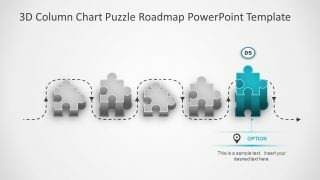 Every piece of puzzle is a unique infographic icon. The title and text placeholder are available inside the slides to add necessary content of topic. 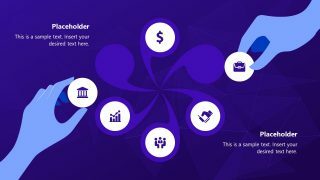 The PowerPoint is organize in such a way that all the elements are easily viewable and nothing overlaps. 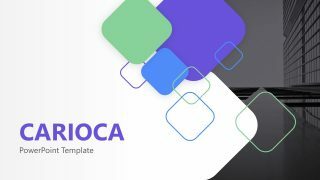 This 6-slide template has five slides to present every milestone separately. The placeholders are highlight to enhance the visual in the puzzle shape color. This way, it is easier to connect the image with its content. 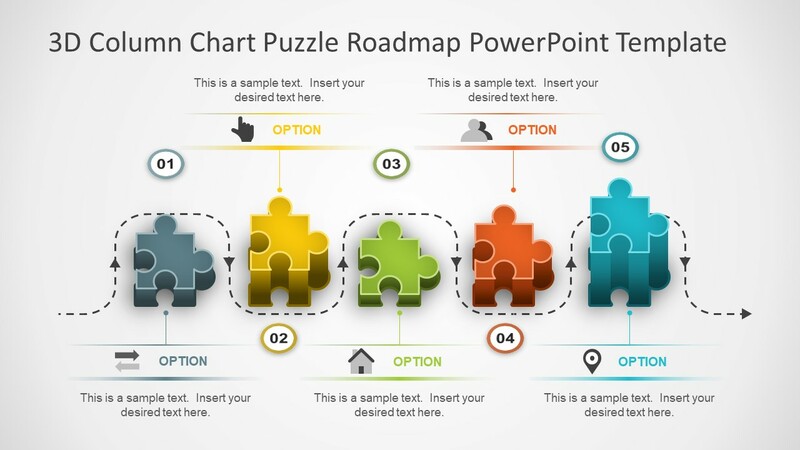 A 3D column chart Puzzle Roadmap PowerPoint Template is fully customizable. To explain this, the users can edit all the elements of this presentation. Such as, change the color, move an object or add any other item in few simple steps. For example, change the color of puzzle pieces to variation of blue shade. For this purpose, select first figure and click on solid fill in format tab. There are number of variations already available in pallet. Select a first light blue color and do the same with rest of the images. Go from light to darker tone of blue to give an effect of progress and growth. To display annual targets, growth plan, sales and revenue. Every organization needs to show a timeline or roadmap some time. The roadmap templates of SlideModel.com are widely used by business professionals. 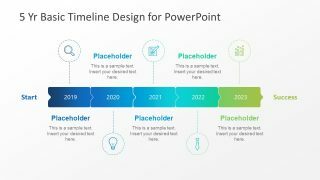 Timelines & Planning is a large collection of timeline PowerPoint templates to choose from.